million DKK. The foreign part accounted for a total of 29 % of revenues. 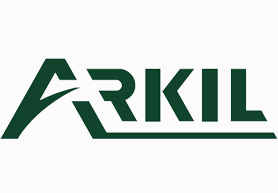 Arkil’s expectations for 2014 are revenue of 3.000 million DKK. and a profit before taxes between 50-80 million DKK. Our DCF analysis is based on the free cash flow approach which assumes that shareholder wealth is directly related to the free cash flows generated by the company. In order to compute the free cash flow of Arkil the main drivers in the model has been forecasted: net profits, depreciations, CAPEX and net changes in net working capital. in 2015 and 22% hereafter in accordance with proclaimed tax rules. This provides a net profit forecast asseen in the table below. To forecast the net changes in net working capital of Arkil we notice from the table below that net working capital the last 3 years approximately has been a fixed percentage of revenues. We therefore set future net working capital equal to this fixed percentage and thereby get forecasted net change in net working capital. balance between the two items in the terminal part. To sum up, the forecast for the main drivers is seen below. We use a WACC of 9%, which again is reasonably conservative. Computing the free cash flows and doing the valuation we get share price of DKK 1.727,58, which compared to the actual share price of 26-05-2014 of DKK 865 equals an up side of 99,7%. Multiple – valuation metrics, P/E, P/B, P/S and EV/EBITDA. Looking at the valuation multiples for the company, it seems obvious that it is relatively inexpensive company. All multiples are well below both the peer average and peer median. however, there is a large variability within the sector. In terms of growth Arkil seems to be lagging behind its peers, with a geometric growth rate of 1.3% during the last five years against a peer average of 1.9%. Compared to peers, the company has a relatively high proportion of equity financing, this is an equity buffer is a desirable property to have in such a cyclical industry. Nevertheless, this capital structure has resulted in a lower ROE compared to peers.